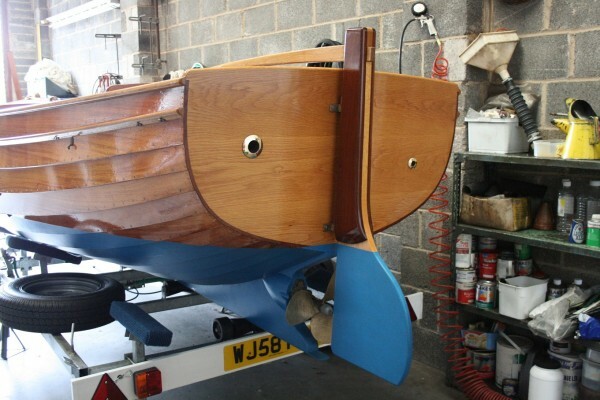 Nick Smith is an experienced builder of wooden launches, based in Christchurch, Hampshire. 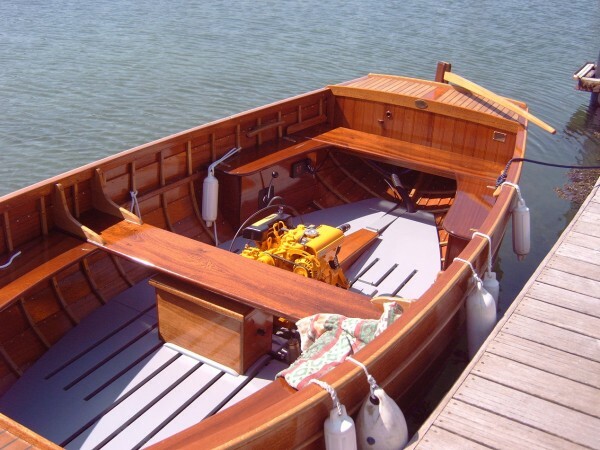 He built this launch for the owner and she was launched in 2010. 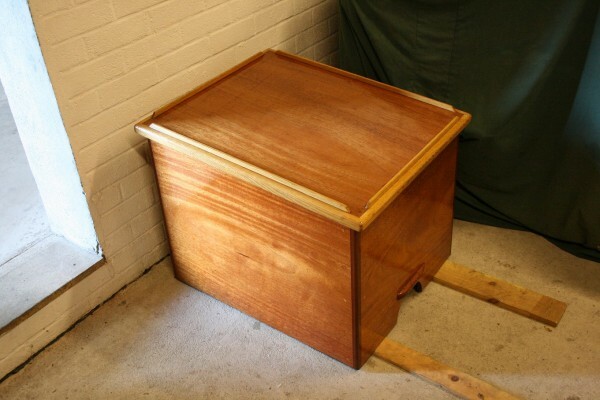 She is varnished throughout and is in immaculate, as new condition. 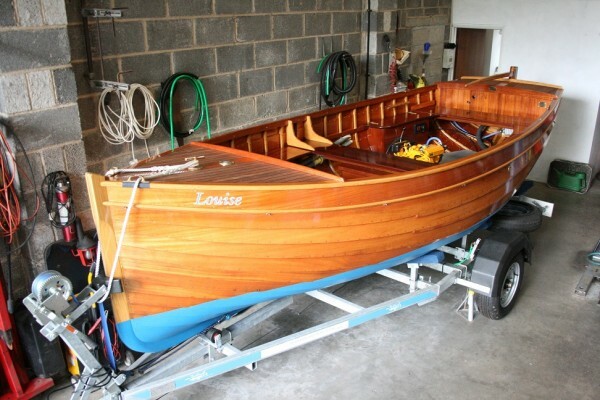 A very reluctant sale due to ill health, she has only been used twice and is stored under cover. 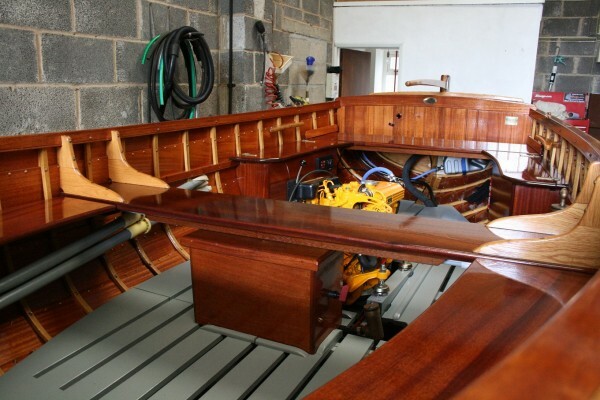 ½” mahogany planking on grown oak frames, copper fastened. 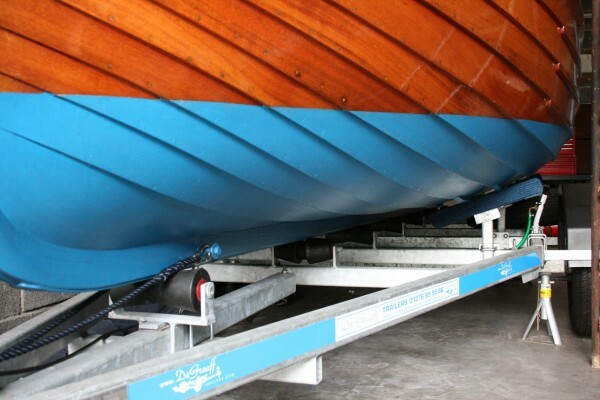 Stainless steel keel bolts. 120kg internal lead ballast. 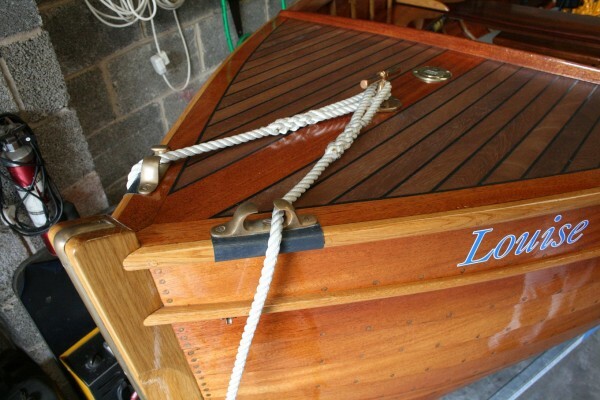 Laid teak. 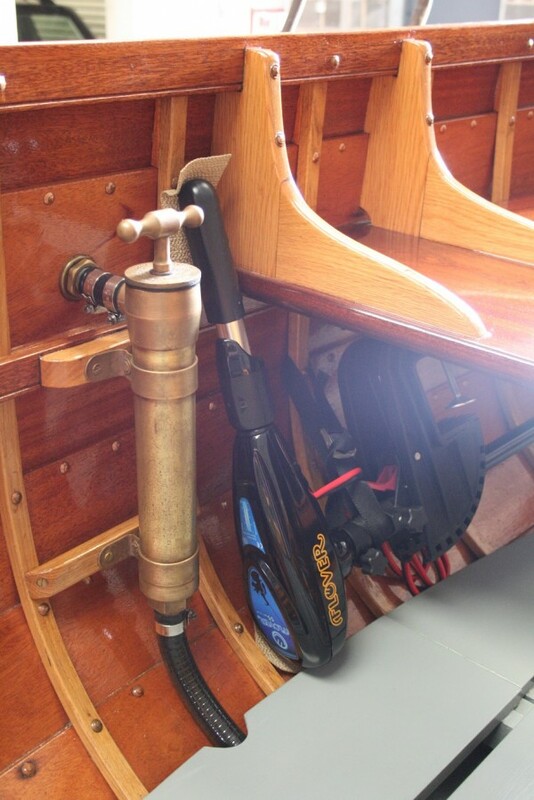 Tiller steering. 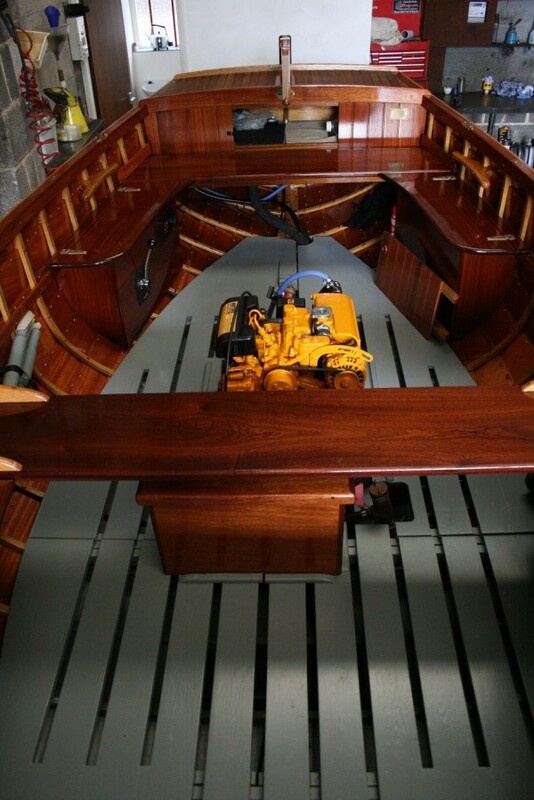 Bronze deck and stemhead fittings. 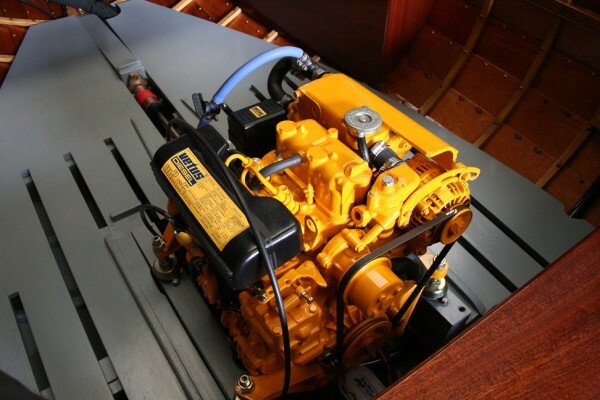 Vetus M2C5A202A 2 cylinder diesel , 11hp. New 2009. Very little use, flushed through with fresh water and serviced when not in use. 3 blade propeller. Cruising speed 6 kts, max 9 kts. Last serviced August 2014. 1 x 12v battery, engine charged. 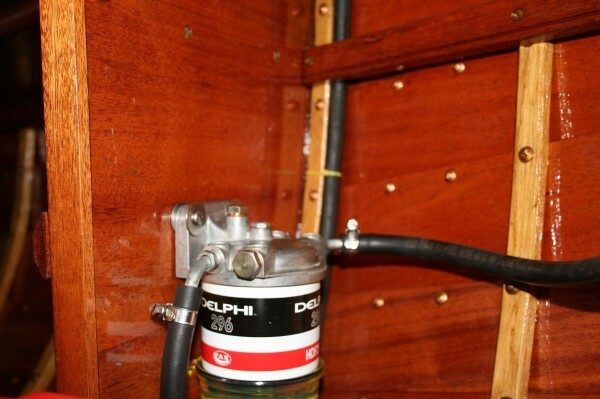 Stainless steel fuel tank under the foredeck. 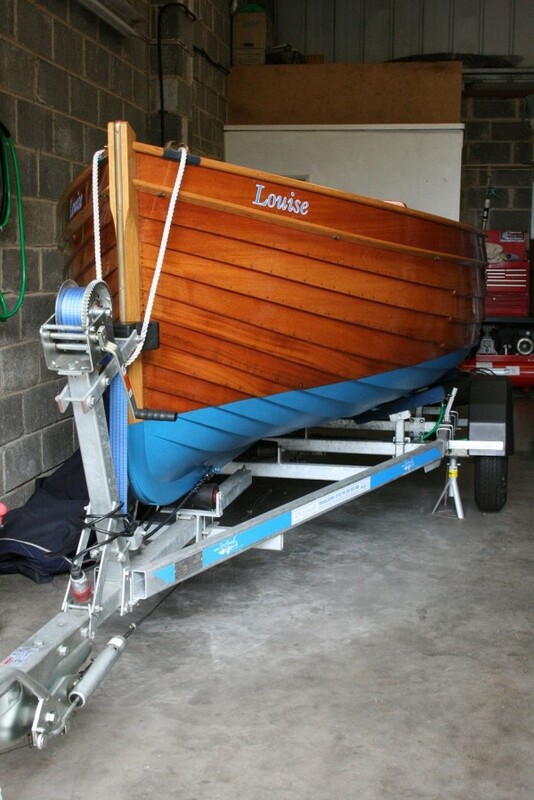 Trailer, made to measure – De Graff 2 wheel galvanised in as new condition. Freshwater flush to clean after launching in sea water. Detachable docking arms. Removeable A bracket to bring down to 16’ overall. Overall cover – made to measure. 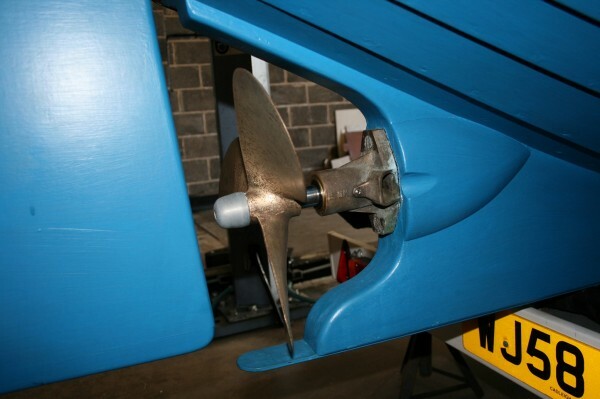 Flover electric outboard – 2010. Unused.